One of the best parts of my job is meeting and working with great vendors who truly love what they do. Rev. Laura Cannon & I make a great team for our clients and I am so thrilled that she agreed to write a guest post to discuss the most important part of a wedding- the marriage that happens after the big celebration. 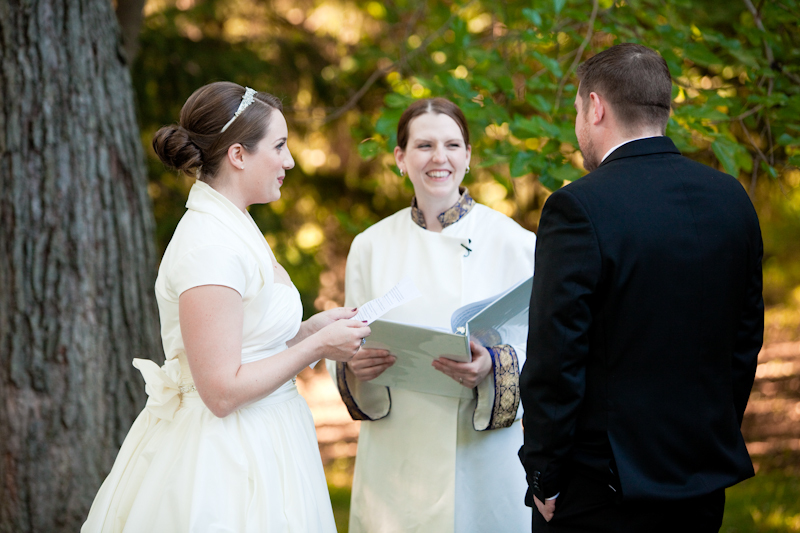 Her experience as an officiant and relationship coach has given her some great insights, so read on and enjoy! I am so lucky to be one of those people who absolutely loves their job. How could I not? Being a wedding officiant means that I get to spend one of the most joyous days of a couples lives with them. But it isn't just the wedding day that I love. I love being truly invested in my couples happiness, even after the big day! I started asking couples, "How much time have you spent planning your wedding so far?" The answer was usually something like "too many to count." On average a full-scale event planner takes 250 hours to plan a wedding, and remember, they know what they are doing! I would follow up this question with, "How many hours of you spent planning for your actual marriage?" You know, the life that will be waiting for you after the cake is eaten and the music has stopped. The response: Deer in headlights stare. Many of us get so wrapped up in planning for this one (albeit very special) day, we neglect to realize that planning for our married life is equally important. Not only am I a wedding officiant but I am also a relationship coach. I coach couples in all stages of their relationship from pre-engagement to post marriage. From my work with these couples it became clear that there were definite indicators that I could see even before they walked down the aisle that would indicate how successful their marriage would be. Every couple that gets married certainly says "I do" intending for it to last a lifetime. But what if they had a tool that could actually help ensure their success? During my coaching sessions I shared the tools with them. I received a lot of positive feedback from my Divine Transformation Marriage Coaching clients who were implementing these techniques and were seeing improvement in their communication. I became inspired to share these tips with more people, especially the ones I wasn't marrying or coaching. So, I wrote the 46 page e-book, The Marriage Manifesto: The Ultimate Tool for Co-Creating Long-Lasting-Love and Happiness. Since its release, countless couples have downloaded the book (it's kind of a no-brainer at under $10). I get e-mails all the time from couples telling me how much the book helped them during their engagement to think about the things that really mattered. I also get letters from married couples telling me how it helped to refocus their commitments. I thought performing the weddings was rewarding. But nothing has been as rewarding as knowing that not only have I helped them to have a beautiful ceremony, I have helped them to consciously create their own beautiful married life together.